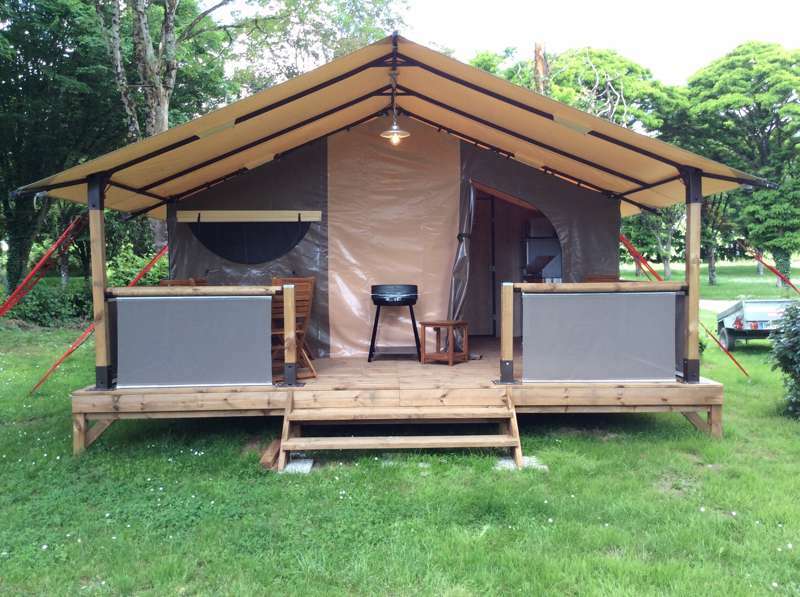 This safari tent offers comfort under canvas on a lakeside campsite in the French region of Charente. 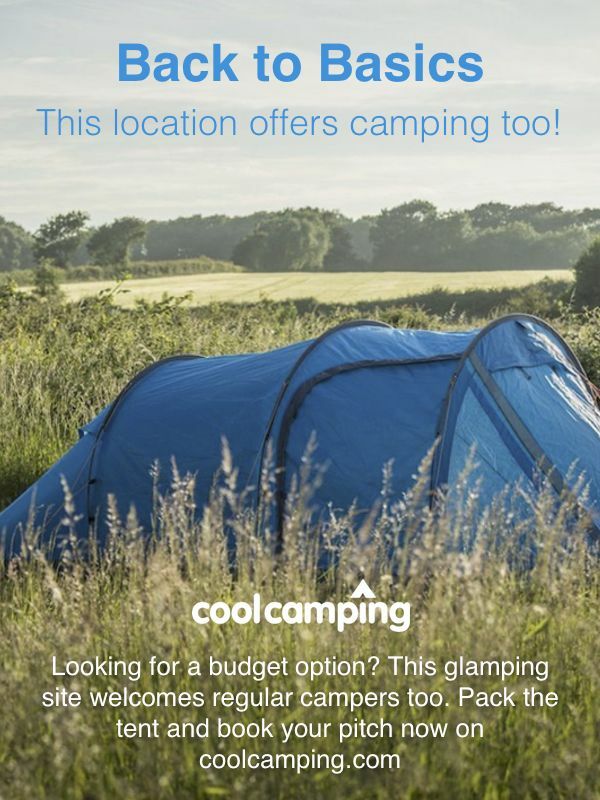 Saving the hassle of pitching your tent by booking a stay in a luxury safari tent lodge! Sleeping up to five people, there are two bedrooms, one with a double bed and the second with a bunk bed: a double bed on the lower bunk and a single bed on the top bunk. The lodge has a fully equipped kitchen with fridge freezer, microwave, hob, kettle, coffee machine, pots, pans, crockery, cutlery and glasses. The bathroom comprises a shower, basin and toilet. Outside there is a beautiful decked terrace with a table, chairs and a BBQ - perfect for those al fresco dining moments. Situated in the beautiful countryside of Charente, this spacious (20 acres), rural campsite sits on one side of a pretty lake. With all the amenities you could wish for, it's family-owned and run, which just serves to underline its greatest assets – pure, homespun tranquility yet with enough in the way of facilities and activities to make you never want to leave. Fresh bread and pastries can be ordered each evening for next day collection at reception – a French camping must – plus there's plenty of tourist info stashed alongside the main desk, along with local walking and cycling maps, board games and puzzles. To top it off, there's even a mobile beauty therapist who drops by from time to time! It's a convivial place, with regular events during summer, including live music evenings, dedicated food evenings focused on things like moules-frites and BBQs, and a popular boules tournament every Sunday afternoon. Plus there's fishing on the lake and an abundance of wildlife around the site. The neighbouring village of St-Amante-de-Boixe is worth a visit, home to a majestic 12th-century abbey church and some lovely nearby woodlands for walking, and the regional capital town of Angouleme is only a 20-minute drive away. That is, of course, if you can tear yourself away.